When I saw that the weekly photo challenge was unexpected, I had to believe that whether consciously or subconsciously Cheri Lucas Rowland over at WordPress HQ had been influenced by the date. To my mind the events in Dallas 50 years ago were perhaps the most unexpected event at least since Pearl Harbor and probably longer. Some people had predicted a Japanese attack. 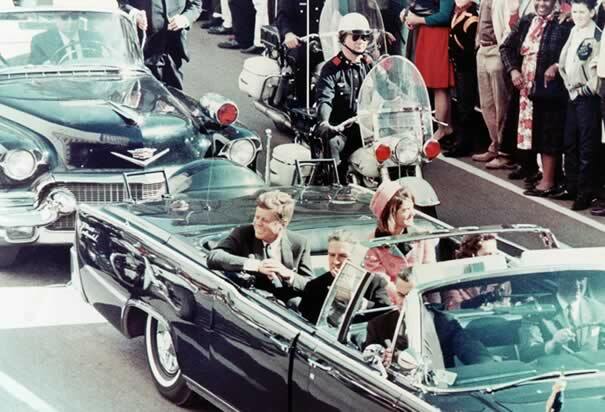 The CIA warned about 9/11 but I don’t think Kennedy’s assassination was on any radar – well except for those who planned it. 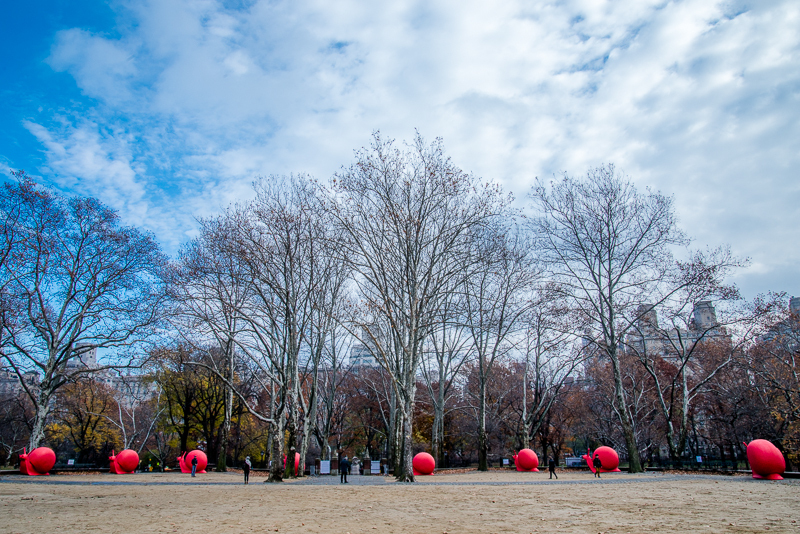 I took a walk through Central Park recently. As I came over a rise what appeared before me? Giant pink snails from Italy of all things. 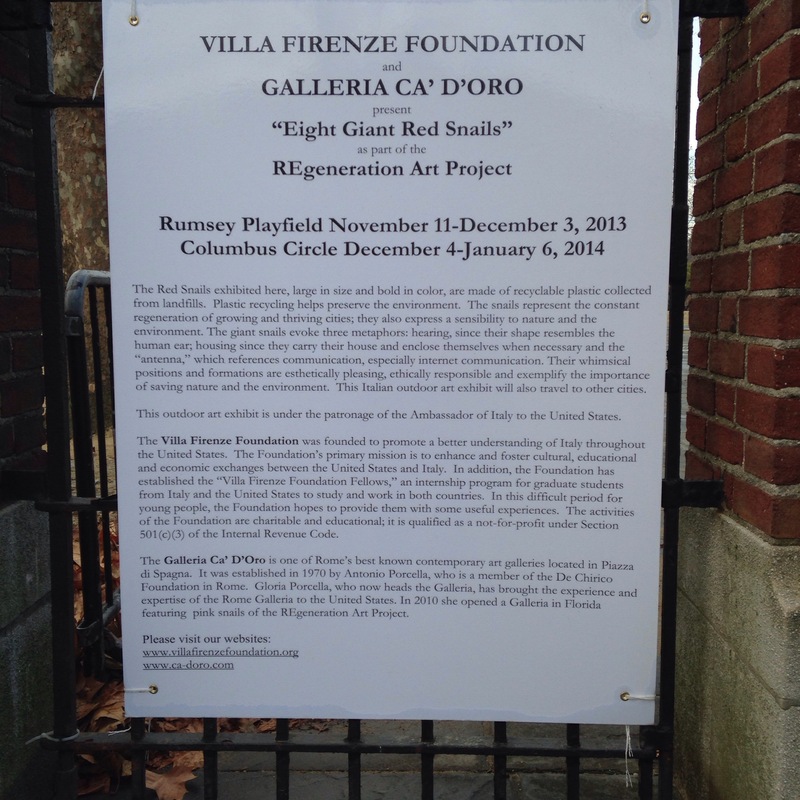 This entry was posted in Photography and tagged Assassination, Central Park, Hudson River, Italy, Kennedy, Pearl Harbor, postaday2013, snails, Weekly Photo Challenge.. Bookmark the permalink. Nice shots. 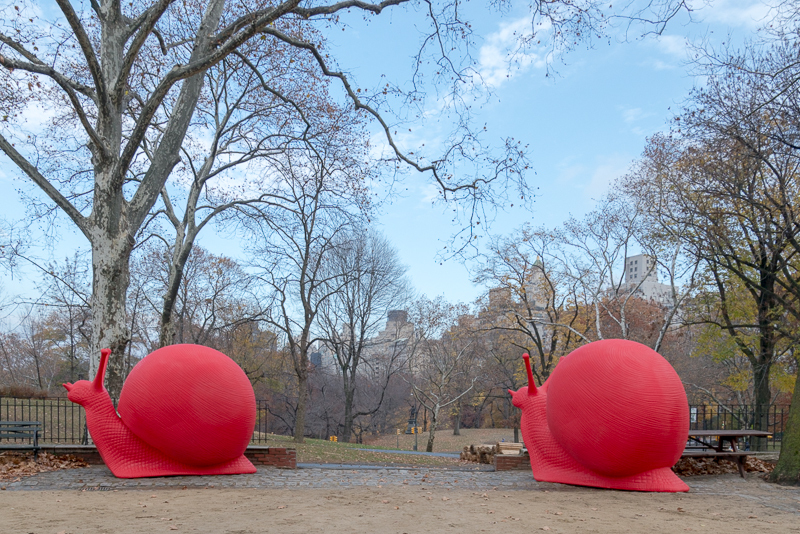 Those same snails made it all the way to Sydney, Australia for the Art and About festival. Nice job! That photo of the President makes me more sad than the one after he is shot. He and the First Lady are so happy, having no idea of the impending tragedy. And, the pink snails are great. Who would ever expect that?!? I agree – that is the photo that really hurts. 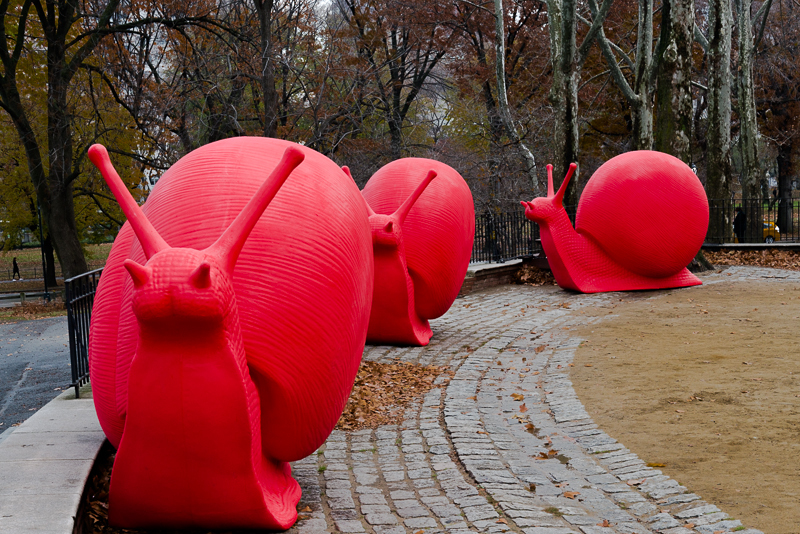 Love the giant red snails! It sure was , don’t you love those moments Robert? Indeed. Best part of walking! Thank you. The day always weighs on me.